To some eyes, there isn't much going on in Lion Babe's visual for their single, "Treat Me Like Fire". 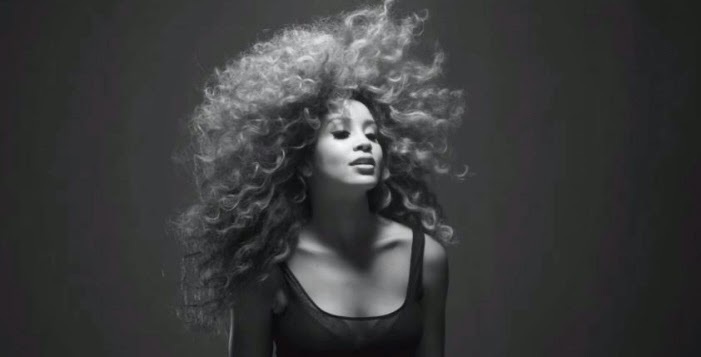 It may even seem redundant, considering they already released a video for it last year where lead vocalist Jillian Hervey was getting her Nala on and crawling around dark caverns and among parched brush. Yet this grayscale re-work is such a lovely ode to Hervey's massive honey blonde mane of curls that it's difficult to find fault in it. Mesmerized you'll be as she tosses it freely about with the notes of "Treat Me Like Fire" prowling in the background. I don't know about y'all but there is something quite powerful about hair that just don't care hence why I'm kinda obsessed with this video. Whether it is Hervey singing in Baduizm tongues or Lucas Goodman dropping the beats, Lion Babe have navigated alt-R&B quite well with their singles and their debut self-titled EP was one of my top picks for 2014. Here's to them making some more groovin' dents in 2015.